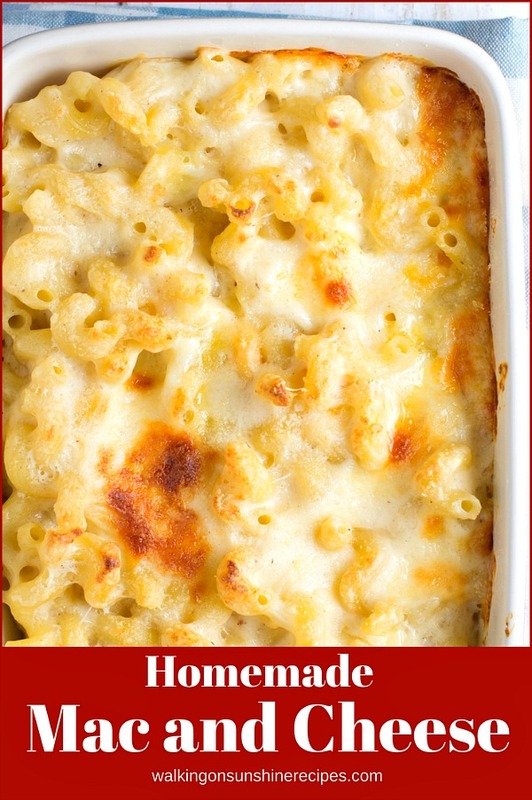 Easy Mac and Cheese Homemade Recipe that's Cheesy and Delicious! Seems easy enough yet there are so many different ways to prepare this family favorite side dish. For some people, it means opening a box and boiling some water. 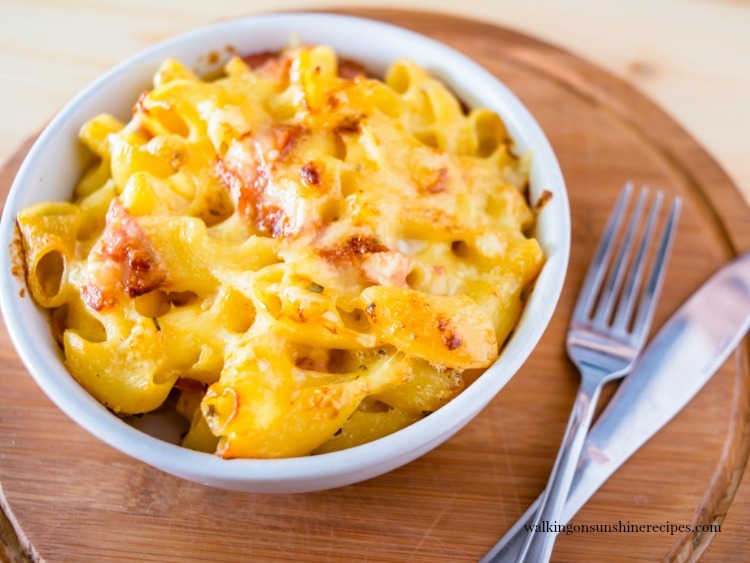 But after you read this post I hope you’ll see that making homemade Easy Mac and Cheese can be really easy and it’s so much better than a box…really! 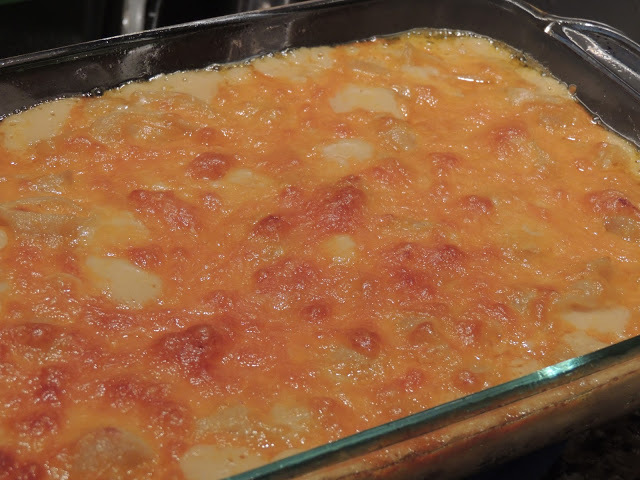 For years I have been making one recipe that I named Olivia’s Mac and Cheese because she loves it so much and I enjoy making my kids happy. But recently I’ve started making another recipe for Mac and Cheese. This one bakes in the oven while my other recipe, named after my daughter, is a stove top recipe. Both are easy, creamy and delicious and the perfect side dish for grilled chicken or hamburgers. To me this recipe is also the perfect comfort food on a long crazy day. You can use whichever favorite pasta you like. When my kids were little they loved shells, so that’s what I usually used. Lately whatever I have on hand works. Mac and Cheese ready for the oven. Ready to serve hot and bubbly from the oven. I recently redid the photos for this recipe. The two photos above and the photo below are from the original post that was published five years ago. 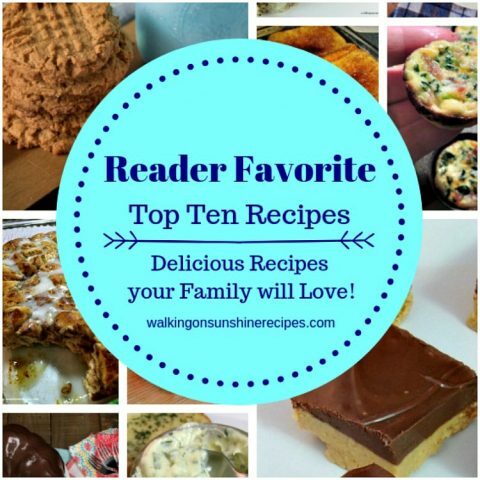 Sometimes it’s hard to believe five years have passed since I posted this recipe and ten years since I started blogging. 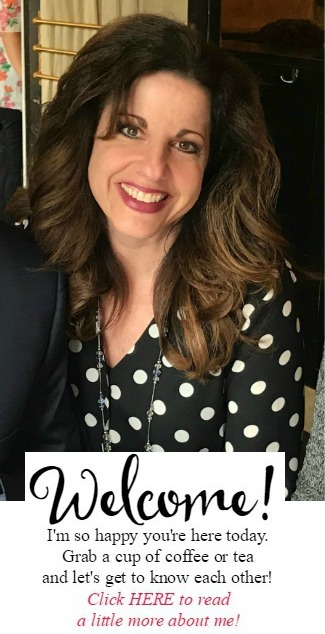 So much has changed with blogging and with my life. I hope you try this recipe. I know you’ll enjoy it as much as my family does. In fact, we had it just the other night with grilled steak. It was amazing. 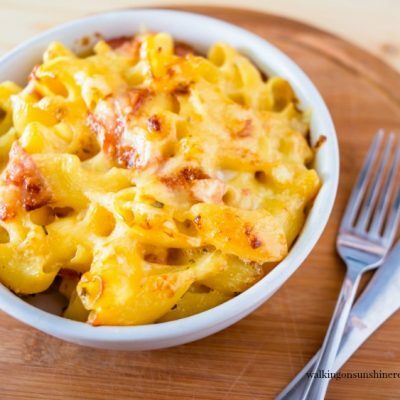 Homemade Mac and Cheese that's easy, cheesy and delicious! Your family is going to love this recipe. Ditch the box and make this recipe for dinner tonight. Stir in flour, salt, pepper, and mustard and stir until smooth. Now add the milk and stir constantly until boiling. Reduce heat to low and continue to stir until everything is combined. 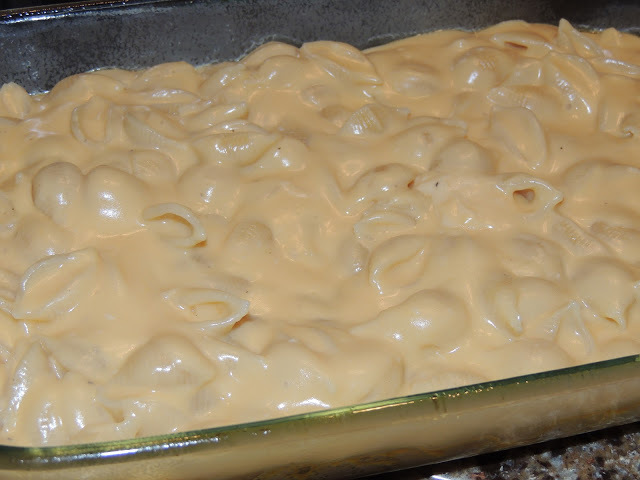 Stir in pasta and pour into a baking dish. 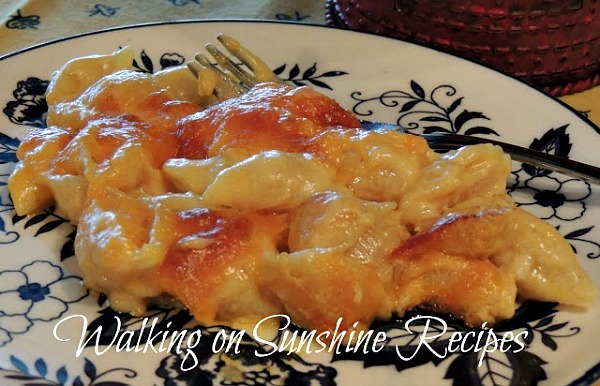 Bake 15-20 minutes or until the cheese on top is golden brown and the casserole is bubbly. I love mac & cheese. It is my favorite comfort food. 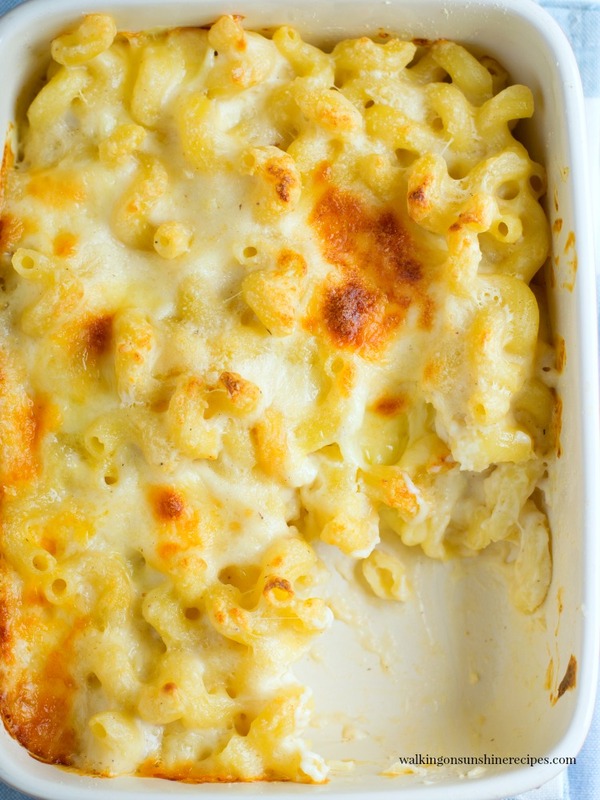 Yum… Mac N' Cheese might literally be one of my favorite foods. YUMMO! I may very well be making this for dinner tonight! Mac and cheese is one of my favorite comfort foods! I'll try your recipe, thanks! Oh that looks SO good. YUM! 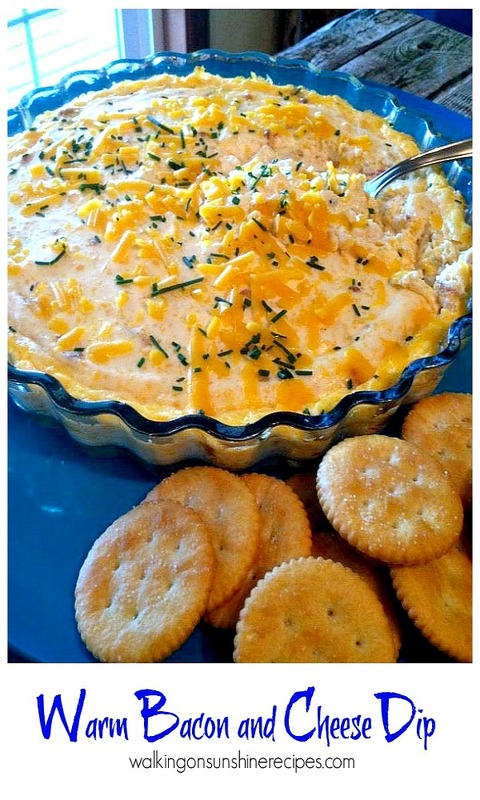 Looks amazing, so cheesy, this would be a favorite in my house as well! Love this recipe, mine is very similar, I love adding the mustard. Now I just need the time to cook tonight. Pinning/sharing. I always have room for another mac and cheese recipe. This looks divine! I am ALL about the cheese! Yes, same here. We love cheese too! Thank you for visiting! Lois this looks so mouthwatering good. I am definitely going to make this. Show my daughter what a real mac and cheese is and not that boxy stuff. That is so funny! I could eat homemade mac and cheese a few times a week! Thanks for visiting!